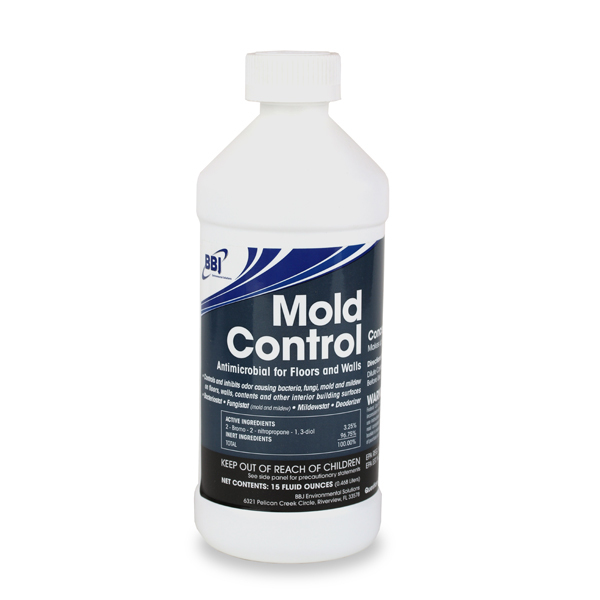 Controls mold and mildew growth for up to a year. BBJ Mold Control for Floors and Walls (previously Maintain C-1) will effectively inhibit the re-growth of mold, fungus, and bacteria for months. Popular for mold remediation, it is not only a powerful biocide but a highly effective odor control agent as well. Virtually eliminates musty, mildew, and “dirty sock” odors. Highly concentrated formula allows you to make as much or as little as you need for the job. One 15 ounce bottle of concentrate makes 7 ½ gallons of ready to apply product.